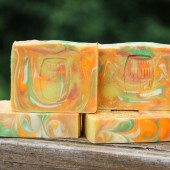 Orange 10X Essential Oil is fantastic in soap. 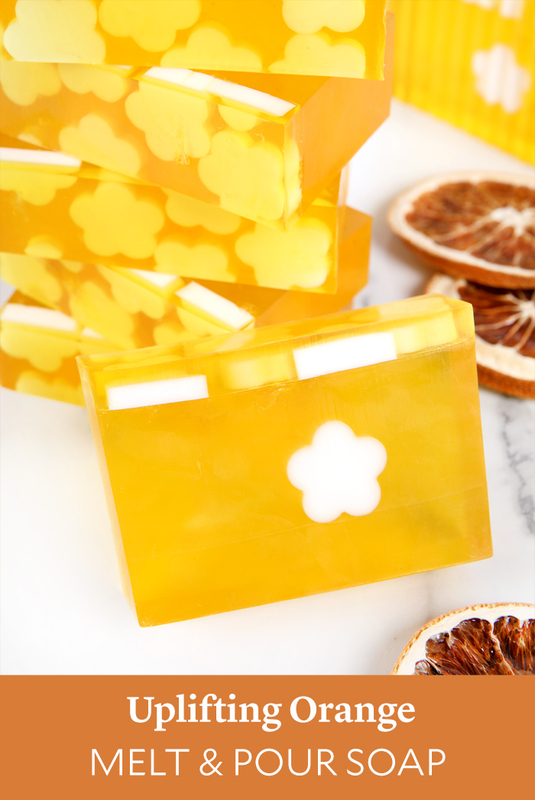 In this Uplifting Orange Melt & Pour, it acts as a natural colorant and gives the bars a zesty scent everybody loves. 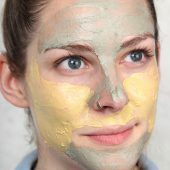 This project is suitable for beginners with a few tips. First, the flower embed needs to be made ahead of time. 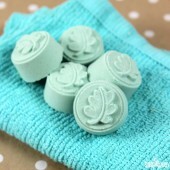 Once it’s completely cool and firm, it can be placed inside the orange soap. Melt and pour soap begins melting around 120°F. Be mindful of the temperature, otherwise it can melt the flower embed. Next, be sure to have 99% isopropyl alcohol in a spray bottle nearby. It helps the layers stick and gets rid of bubbles. 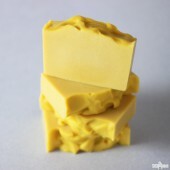 ONE: Chop 4.5 ounces of Goat Milk Melt and Pour Soap Base into small, uniform pieces. Place them in a small heat-safe container and melt in the microwave using 5-10 second bursts. Small amounts of soap boil quickly, so be careful. TWO: Pour the soap into the Mini Daisy Column Mold. Place the mold into a tall container to keep it upright and allow the soap to fully cool and harden. 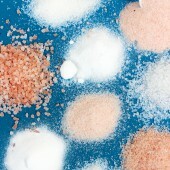 THREE: While the embed hardens, chop 45 ounces of Clear Melt and Pour Soap into small, uniform pieces. Place them into a large heat-safe container and melt in the microwave using 30-60 second bursts. 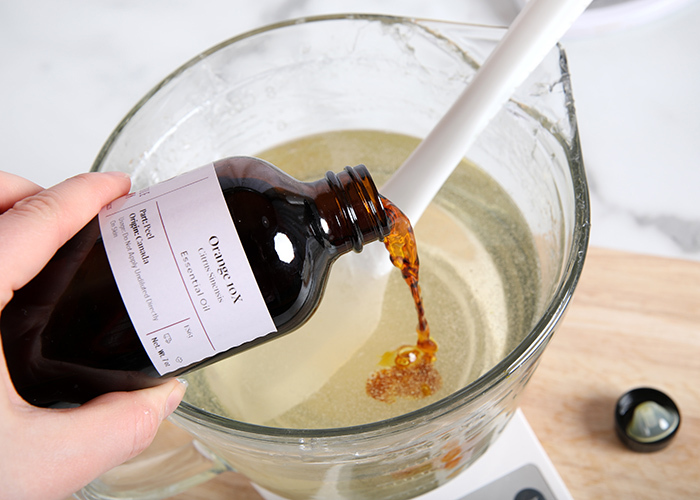 FOUR: Add 1.2 ounces of Orange 10X Essential Oil into the melted soap and stir to fully combine. 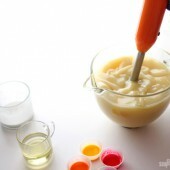 Pour about 1/3 of the soap into the 10″ Silicone Loaf Mold and spritz with 99% isopropyl alcohol to get rid of bubbles. Allow to cool and harden. FIVE: Once the embed is cool, remove it from the mold. Trim off any imperfections and cut the embed the same length as the inside of the 10″ Silicone Loaf Mold. SIX: Make sure the orange soap inside the mold has cooled enough to support more soap on top. If so, place the embed in the mold slightly off-center. 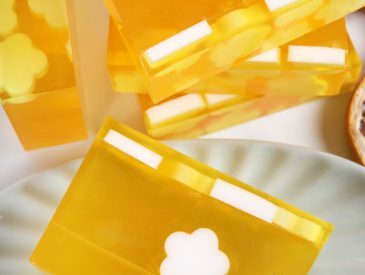 SEVEN: Remelt the orange soap using 20 second bursts – make sure it’s between 120-130° F. Spritz the soap in the mold with 99% isopropyl alcohol and gently pour the remaining orange soap into the mold. Spritz with 99% isopropyl alcohol to get rid of bubbles. Allow to cool and harden for about 20 minutes. EIGHT: While the soap in the mold cools and hardens, chop 4.5 ounces of Goat Milk Melt and Pour Soap Base into small, uniform pieces. 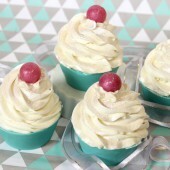 Place them in a small heat-safe container and melt in the microwave using 5-10 second bursts. Small amounts of soap boil quickly, so be careful. Once melted, pour the soap into the Mini Daisy Column Mold. Place the mold into a tall container to keep it upright and allow the soap to fully cool and harden. NINE: Once the second embed has cooled and hardened, remove it from the mold and cut into small pieces. Set aside. TEN: Chop 10 ounces of Clear Melt and Pour Soap into small, uniform pieces. Place them into a heat-safe container and melt in the microwave using 15-20 second bursts. Add 0.2 ounces of Orange 10X Essential Oil and stir in thoroughly. ELEVEN: Spritz the soap in the mold with 99% isopropyl alcohol. 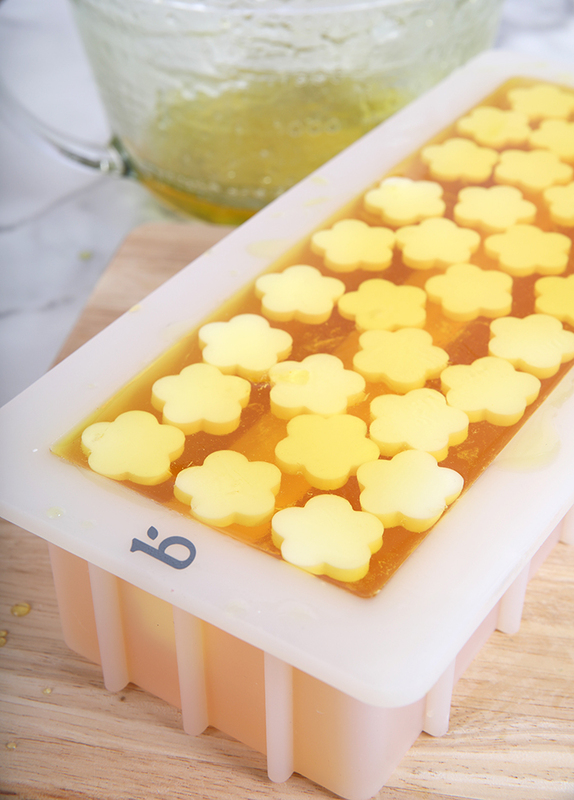 Place the small daisy embeds on top of the soap in the mold. 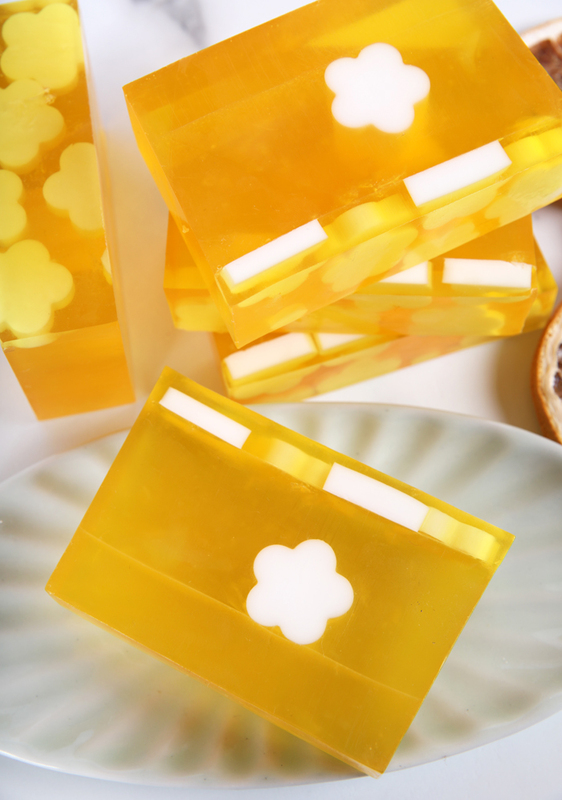 When the orange soap is around 120-130° F, gently pour it into the mold and spritz with alcohol to get rid of bubbles. 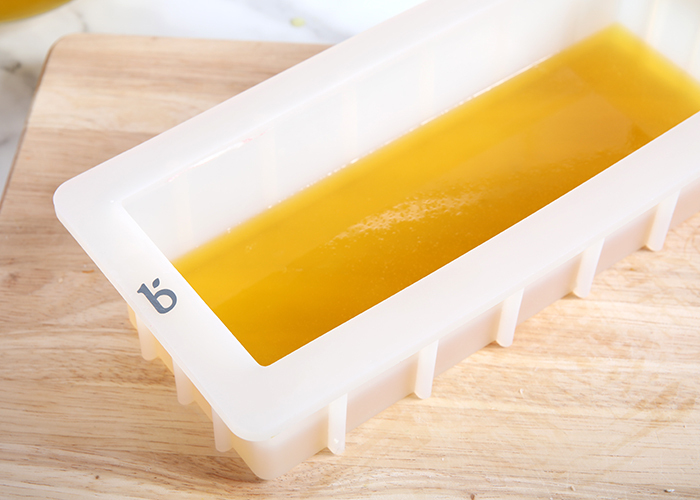 If you have extra orange soap, pour it into another mold. TWELVE: Allow the soap to fully cool and harden. 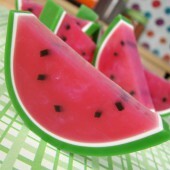 Remove the soap from the mold and use a non-serrated knife to cut into bars. If you live in a very humid area, wrap the bars in plastic wrap to prevent glycerin dew. Enjoy! 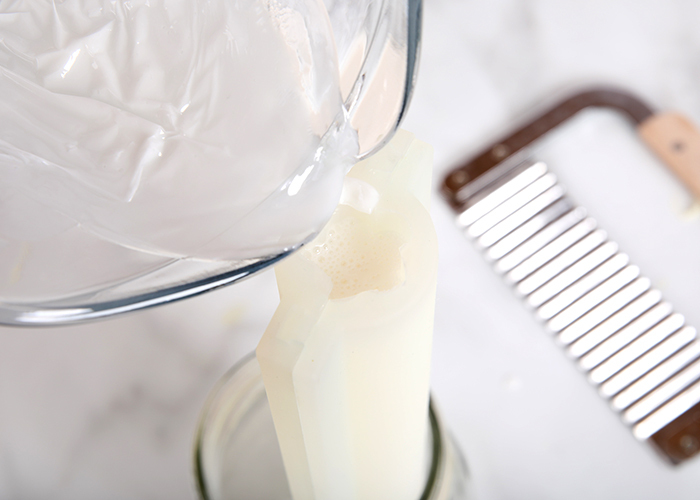 Chop 4.5 ounces of Goat Milk Melt and Pour Soap Base into small, uniform pieces. Place them in a small heat-safe container and melt in the microwave using 5-10 second bursts. Small amounts of soap boil quickly, so be careful. Pour the soap into the Mini Daisy Column Mold. Place the mold into a tall container to keep it upright and allow the soap to fully cool and harden. 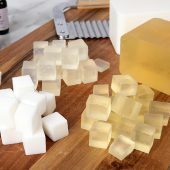 While the embed hardens, chop 45 ounces of Clear Melt and Pour Soap into small, uniform pieces. Place them into a large heat-safe container and melt in the microwave using 30-60 second bursts. 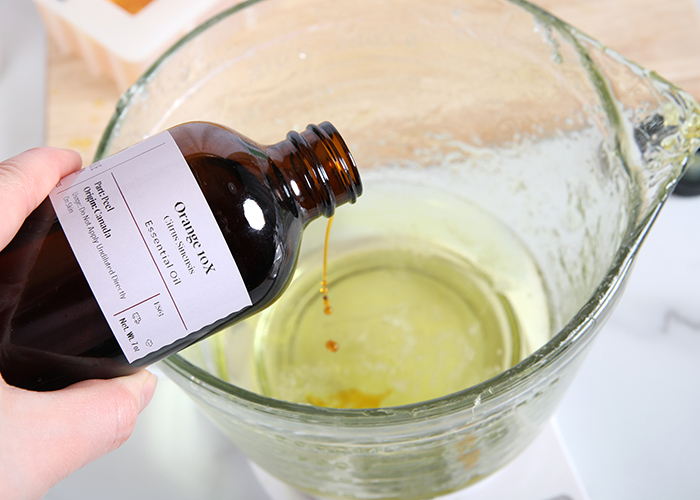 Add 1.2 ounces of Orange 10X Essential Oil into the melted soap and stir to fully combine. Pour about ⅓ of the soap into the 10″ Silicone Loaf Mold and spritz with 99% isopropyl alcohol to get rid of bubbles. Allow to cool and harden. Once the embed is cool, remove it from the mold. Trim off any imperfections and cut the embed the same length as the inside of the 10″ Silicone Loaf Mold. Make sure the orange soap inside the mold has cooled enough to support more soap on top. If so, place the embed in the mold slightly off-center. 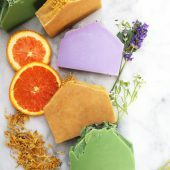 Remelt the orange soap using 20 second bursts – make sure it’s between 120-130° F. Spritz the soap in the mold with 99% isopropyl alcohol and gently pour the remaining orange soap into the mold. 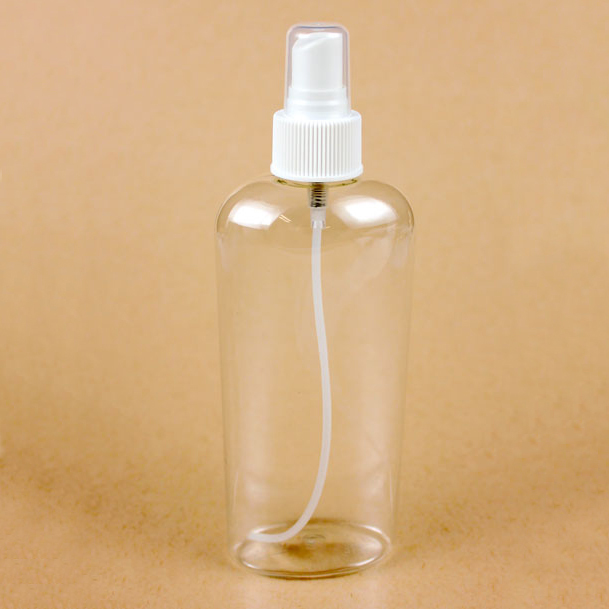 Spritz with 99% isopropyl alcohol to get rid of bubbles. Allow to cool and harden for about 20 minutes. 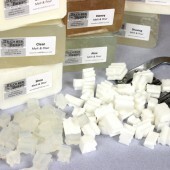 While the soap in the mold cools and hardens, chop 4.5 ounces of Goat Milk Melt and Pour Soap Base into small, uniform pieces. Place them in a small heat-safe container and melt in the microwave using 5-10 second bursts. Small amounts of soap boil quickly, so be careful. 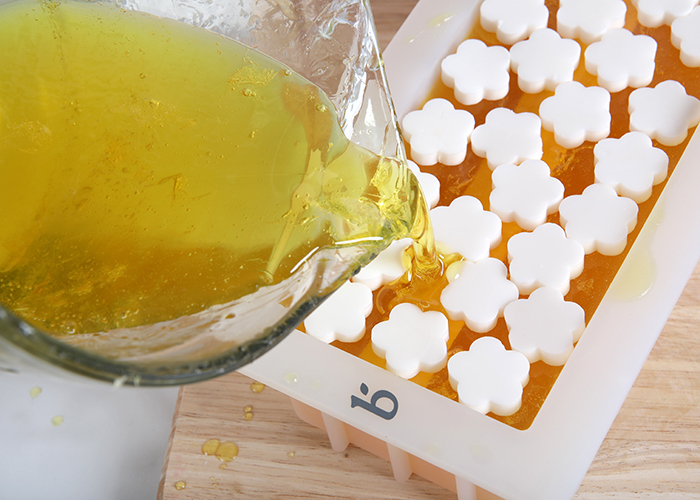 Once melted, pour the soap into the Mini Daisy Column Mold. Place the mold into a tall container to keep it upright and allow the soap to fully cool and harden. Once the second embed has cooled and hardened, remove it from the mold and cut into small pieces. Set aside. 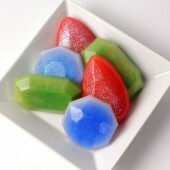 Chop 10 ounces of Clear Melt and Pour Soap into small, uniform pieces. Place them into a heat-safe container and melt in the microwave using 15-20 second bursts. 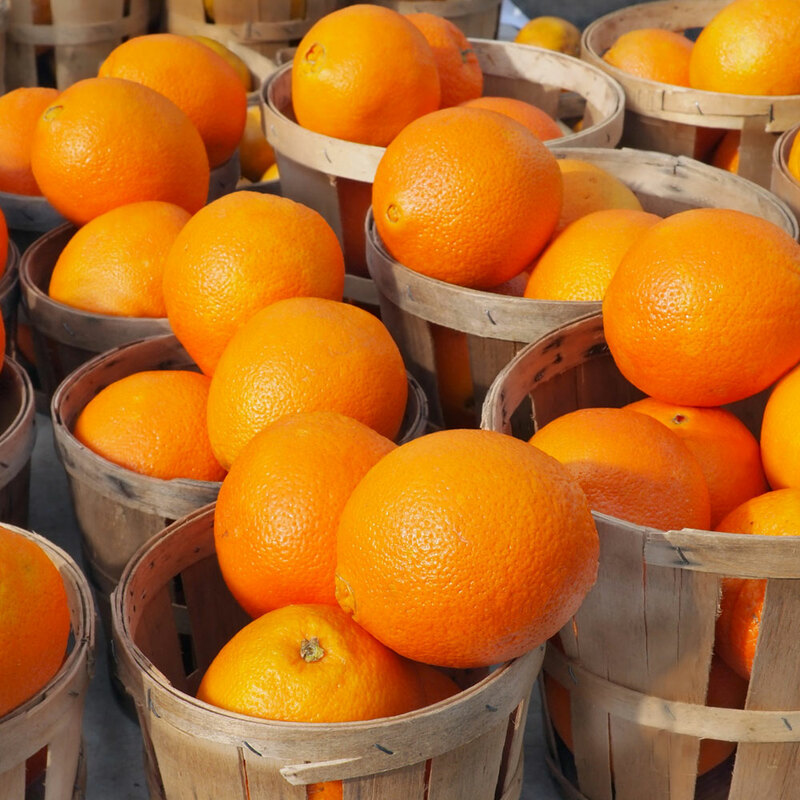 Add 0.2 ounces of Orange 10X Essential Oil and stir in thoroughly. 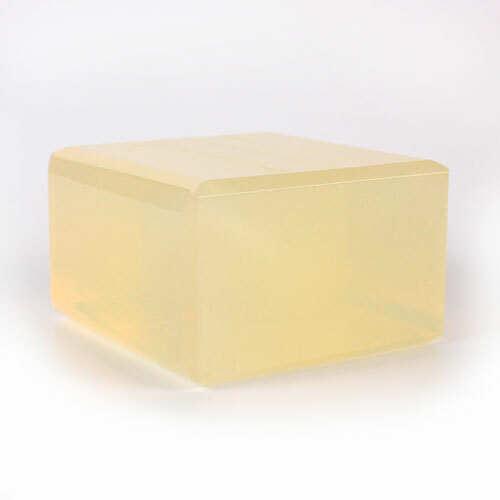 Spritz the soap in the mold with 99% isopropyl alcohol. 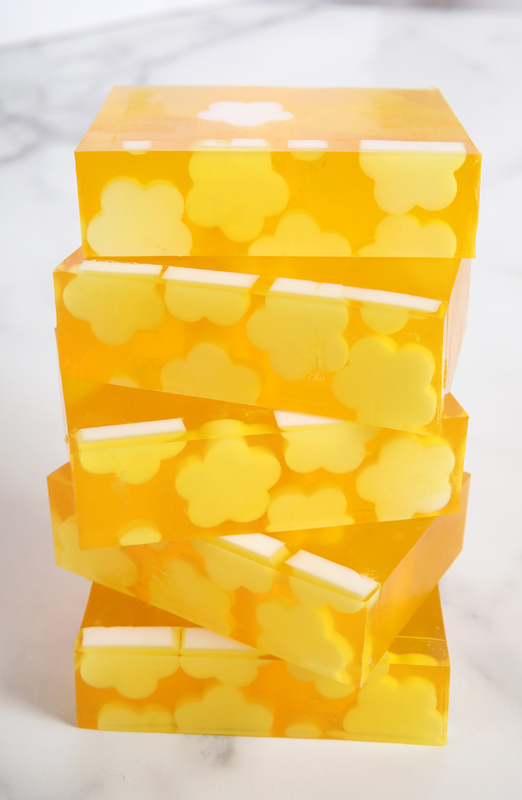 Place the small daisy embeds on top of the soap in the mold. 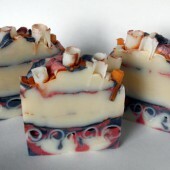 When the orange soap is around 120-130° F, gently pour it into the mold and spritz with alcohol to get rid of bubbles. 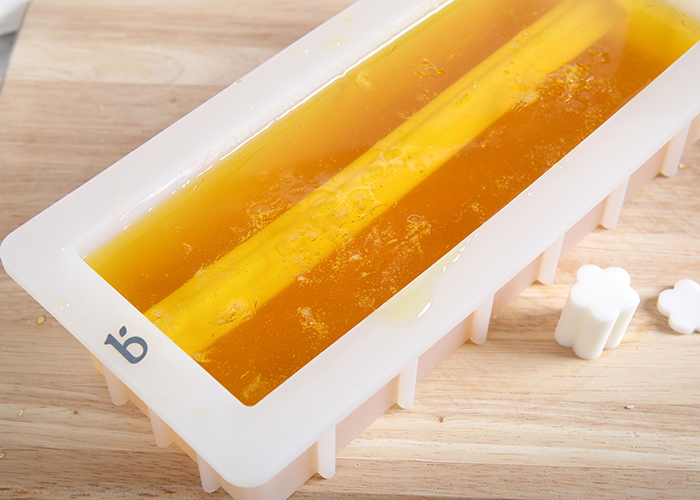 If you have extra orange soap, pour it into another mold. Allow the soap to fully cool and harden. 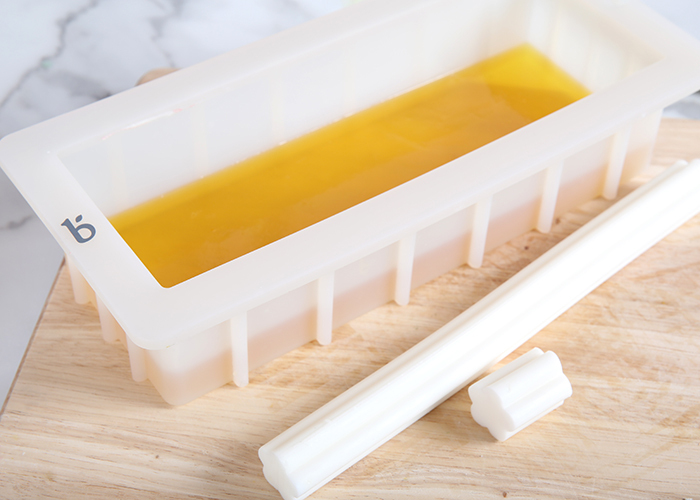 Remove the soap from the mold and use a non-serrated knife to cut into bars. If you live in a very humid area, wrap the bars in plastic wrap to prevent glycerin dew. Enjoy! Alfalfa is a perennial flowering plant that’s often used to feed livestock. 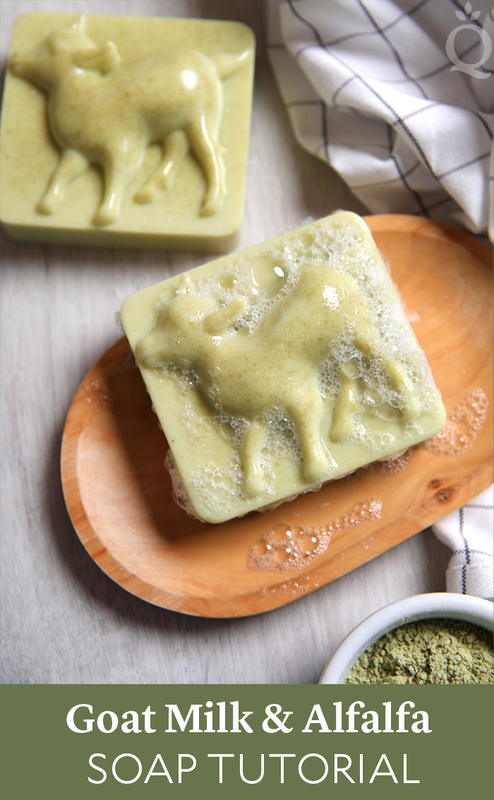 For that reason, we paired our alfalfa powder with the new 6 Cavity Silicone Goat Mold to create these adorable bars. 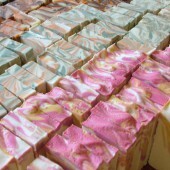 Of course, we used the Goat Milk Melt and Pour Soap Base, which contains 10% goat milk. 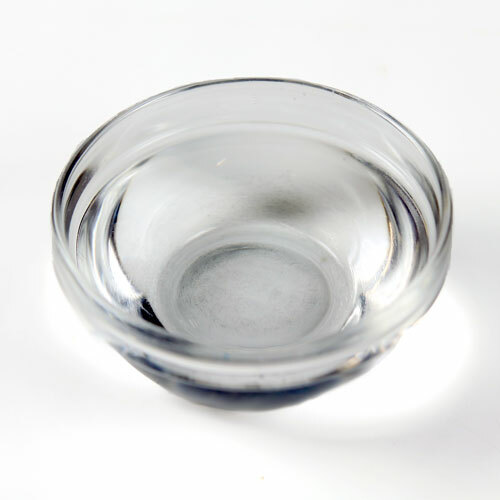 The alfalfa powder is first dispersed in 99% isopropyl alcohol to get rid of clumps. It’s then added to the melted base. It gives the bars a natural, subtle green color. 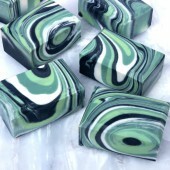 To complement the green hue, the bars are scented with spearmint essential oil. The 6 Cavity Goat Silicone Mold and alfalfa powder are part of the new Farmers Market Collection. 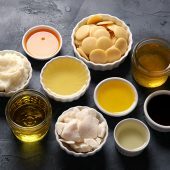 Click here to see all the new items, including four new fragrance oils, powders, oils, and more. 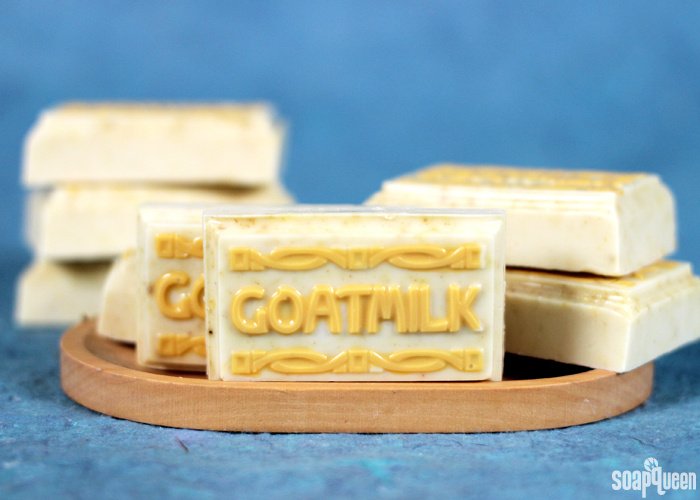 Goat milk soap is well known for its creamy lather and skin-loving properties. Goat milk is particularly nourishing because of capric-caprylic triglyceride, which helps form a barrier on the skin to help inhibit the loss of moisture. Goat milk also contains vitamins A, D and B6, as well lactic acid which is thought to contribute to skin smoothness. 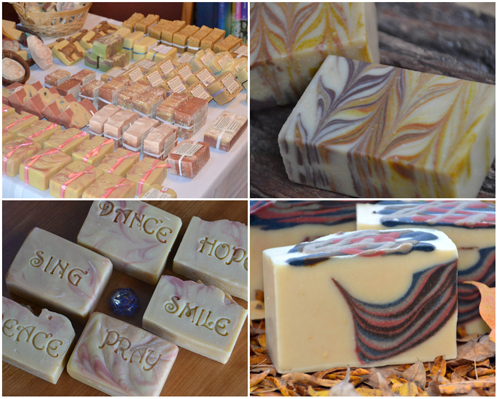 It’s no wonder why goat milk soap is loved by so many! 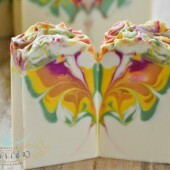 This goat milk soap recipe contains goat milk from a local farm. 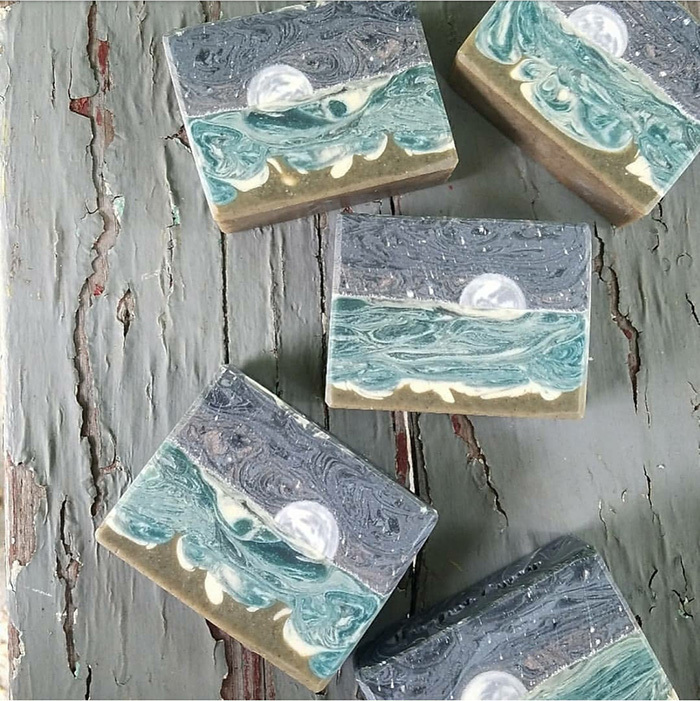 Using fresh goat milk is a fantastic way to highlight local products and the unique, handmade properties of your goat milk soap. If you can’t get your hands on fresh goat milk in your area, powdered goat milk is a great alternative. You may also find goat milk at your local grocery store, co-op or farmer’s market. Creating goat milk soap does take some extra prep work. 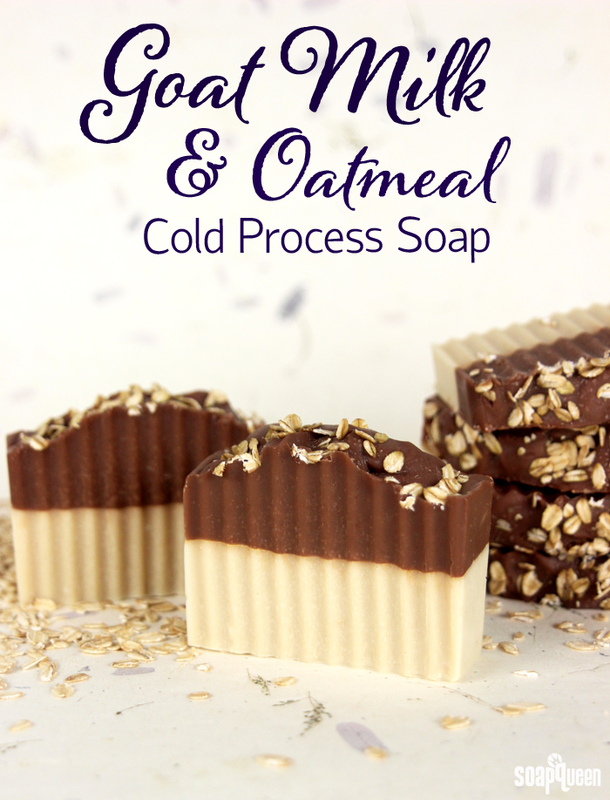 If you’ve never tried making milk soap before, you may want to get a simpler cold process soap recipe under your belt first (this one is great!). Adding lye to milk can scorch the milk without proper preparation. Freezing the milk first keeps temperatures cool and prevents scorching. 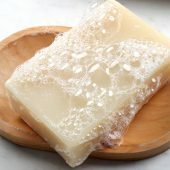 Learn how to prep milk for milk soap, and watch this Goat Milk Soap video to see the process in action. 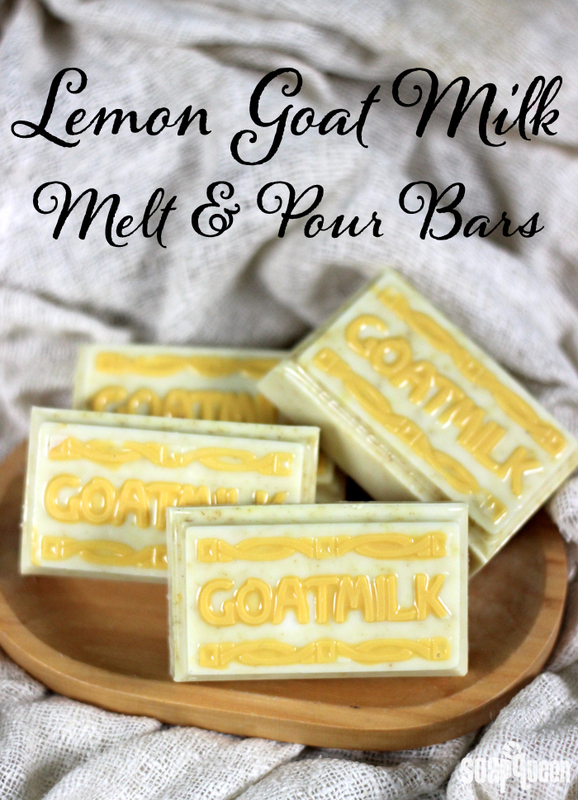 If you’re ready to dive into goat milk soap for the first time, this recipe is perfect. 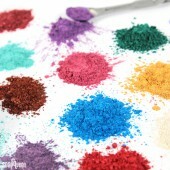 It’s simple with one color and a thick texture, so no need to worry stick blending too much. 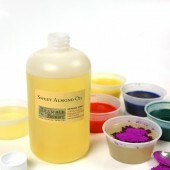 It’s scented with Oatmeal Milk and Honey, one of our all-time most popular fragrance oils. 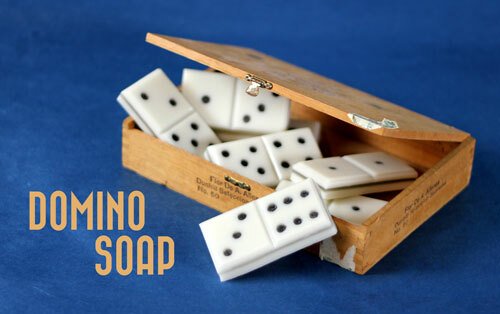 It does discolor in cold process soap, so titanium dioxide is added to keep the bars light and creamy looking. 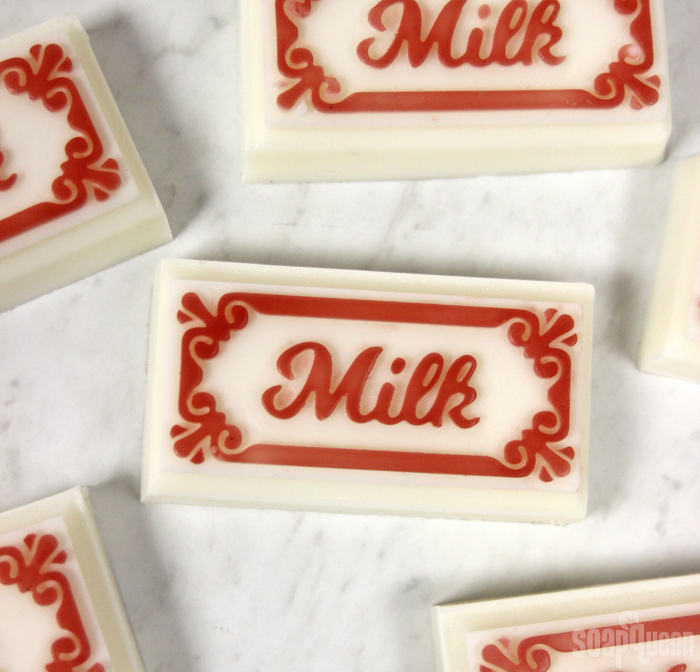 There is something so appealing about a simple bar of creamy milk soap! Danie and her husband Poncho worked in the restaurant industry when they decided they needed a change of pace. They moved to the High Desert of California, where they started raising Nigerian Dwarf goats. 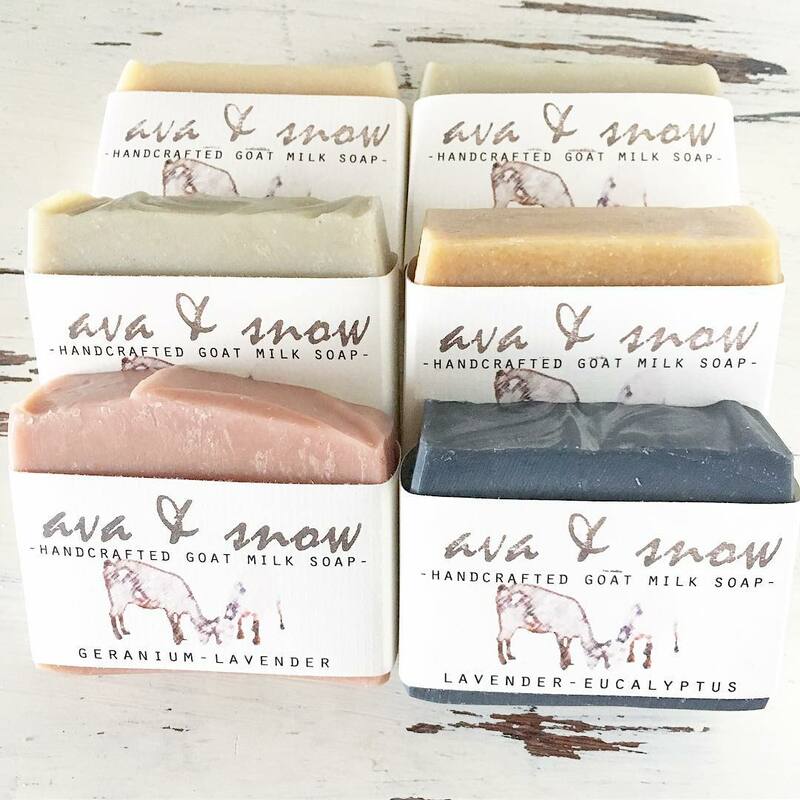 Danie began creating cold process soap with fresh goat milk from the herd, and her business Ava & Snow Goat Soap was born. 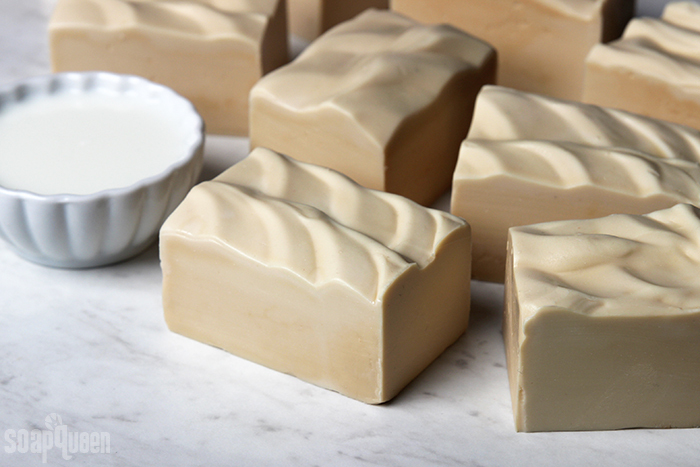 Danie’s soap has a classic and rustic look that lets the fresh ingredients take center stage. 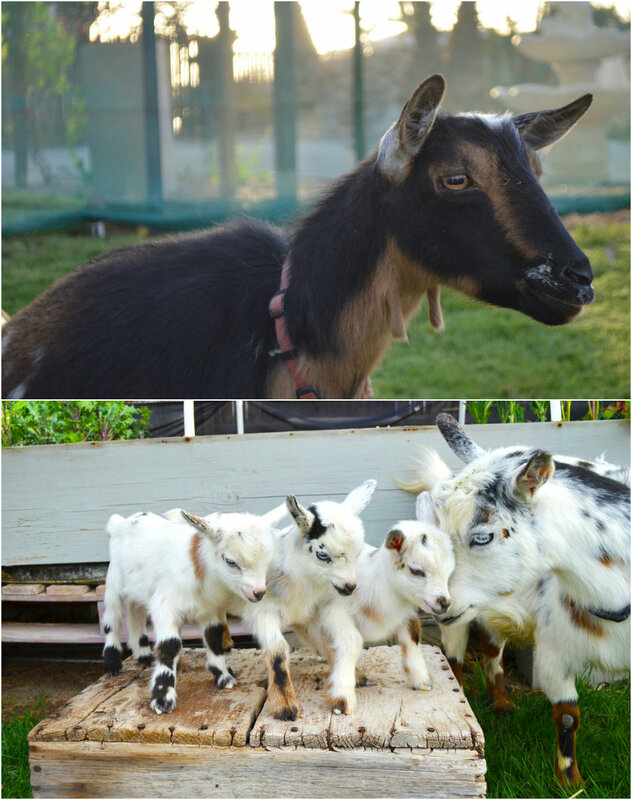 Learn more about Danie, her business and her adorable herd of goats below! Before making soap, both you and your husband were in the culinary industry. What spurred the change of lifestyle? Soon after we got married we decided we wanted to change the pace and lifestyle (restaurant/food business) we had known for so long. We returned to the High Desert where my husband had grown up to be closer to family, slow down a bit and take time to figure out what we wanted to do next. The goats were one of the first projects we took on! We had big dreams of fresh milk, cheeses, yogurt and a small step toward self sustainability! 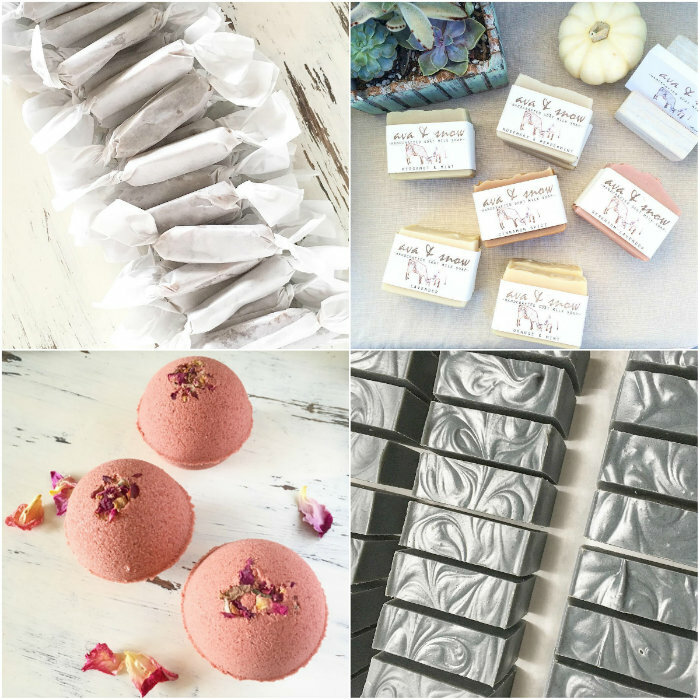 Starting a small soap business was never the plan and happened very naturally and kind of overnight I’d say. I’ve only just started soaping for about a year now. We started raising Nigerian Dwarf goats the previous year and had just began enjoying fresh creamy goats milk. 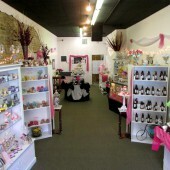 We were excited about all things goats milk and started making yogurt, cheeses, caramels, you name it. Which led me to my first batch of goats milk soap! Ava & Snow are the names of our first two goats. We started out with just the two girls, Ava & Snow. Actually, their full names are Ava Jean & Snow Ball! Goats are a lot like toddlers, they are a little bit ornery, will get into whatever you don’t want them to, have escape artist skills, but are also very sweet creatures who will win you over! Snow is super sweet and a little shy. Ava is more serious and bossy as the herd leader. We really fell in love with them and soon we added Bingo who is our buck (he’s the daddy goat). We now have 6 goats, 2 sheep, 15 chickens, a handful of bunnies and a dog. Danie named her business after her two goats, Ava Jean (top) and Snow Ball (bottom). What sort of advice would you give to those soapers just starting their businesses? 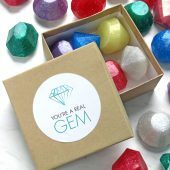 For me the biggest challenge of starting the business was just standing out there behind my product and selling it! I had spent so many years “hiding” in the kitchen “behind the scenes” where the real action was. 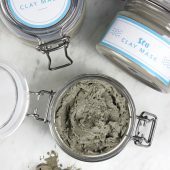 I’m terribly shy and an awkward introvert, so I was forced to come out of my shell a bit to share my product at farmers markets and craft shows. I still struggle with this. 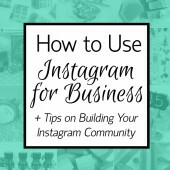 I feel I’ve just started my business myself so I’m not sure I’m full of great biz advice, but I can say that this handmade community has really been amazing to be a part of! 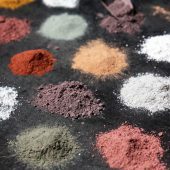 I’ve been lucky to find a tribe of amazing people who support each other, lift each other up, cheer each other on and are happy to share experiences and advice when it comes to running a small handmade business. 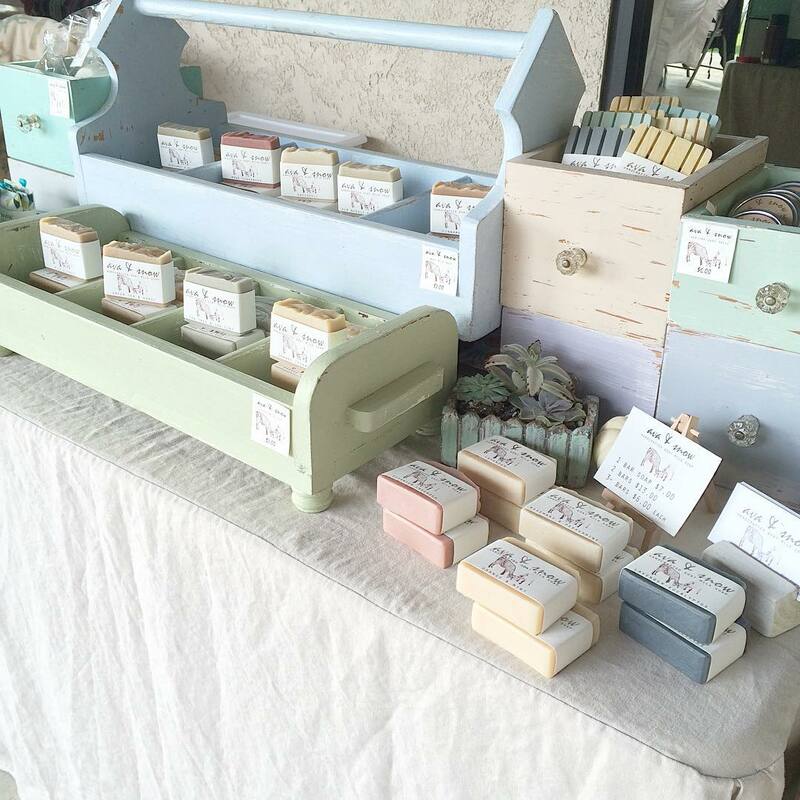 A gorgeous display of Danie’s cold process soap. I love her attention to detail and soft pastel colors. Soap is my favorite product to make. 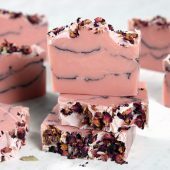 I’ve just got into making sea salt bars and absolutely love making and cutting those bars! 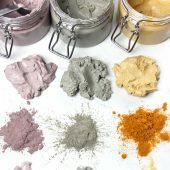 I like it because it allows me to make a product that helps people with different skin conditions as well as offer a product that is chemical free and natural. 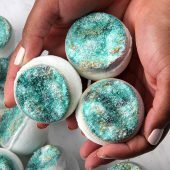 That’s why I made my first batch of soap really, I wanted to eliminate chemical use in my house and soap is a product I use everyday so it seemed like a good start. I think I’m inspired most by the season changes. I’ve always been challenged to create new dishes or desserts with the change of seasons. 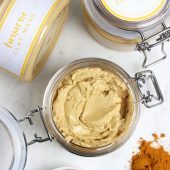 When I worked as a pastry chef, what was in season was what was on the menu so I think it’s just ingrained in me to create new scents or flavors as the seasons change. You make your soap with goat milk produced by your own herd. 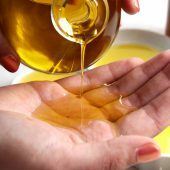 Why is producing your own soap ingredients important to you? I think it’s what makes our goat milk soap special. 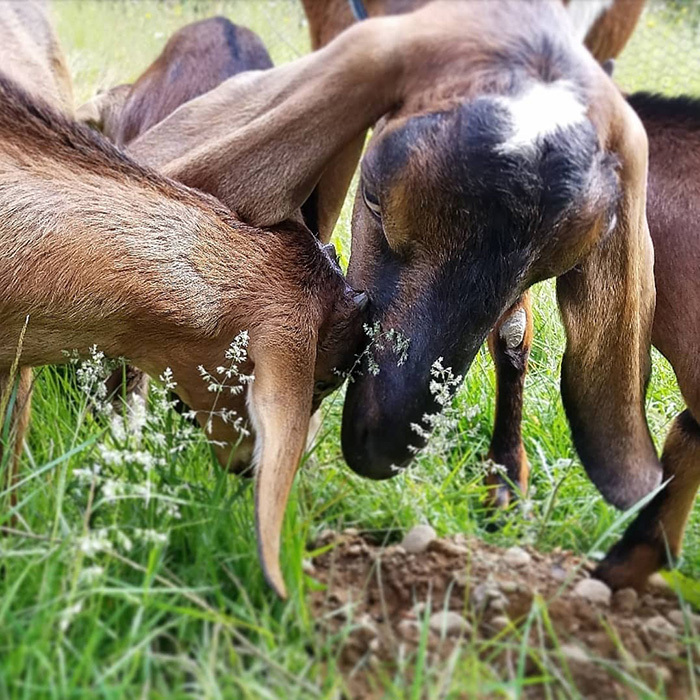 The breed of goat we chose to raise may be the smallest dairy goat breed, but the milk they produce has a much higher butterfat content than others and creates a super creamy and moisturizing bar! 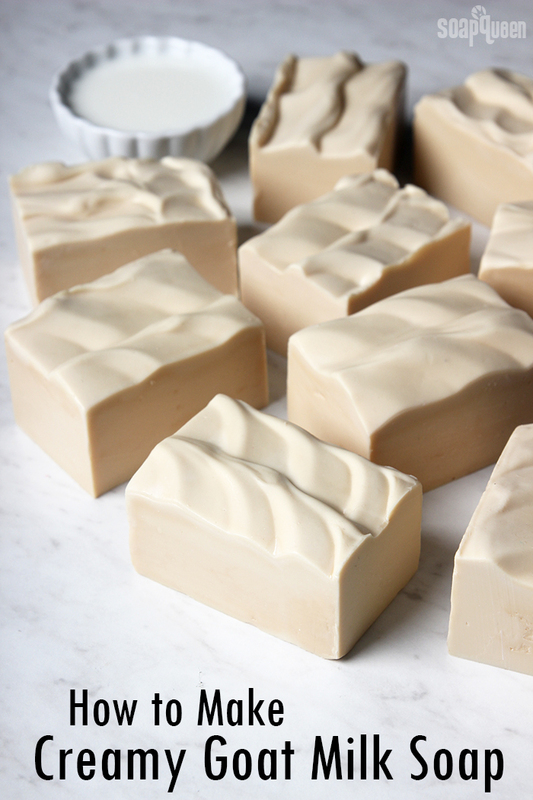 What’s your #1 tip for creating soap with milk? Don’t skimp on the milk! Use the full amount of milk and don’t water it down. 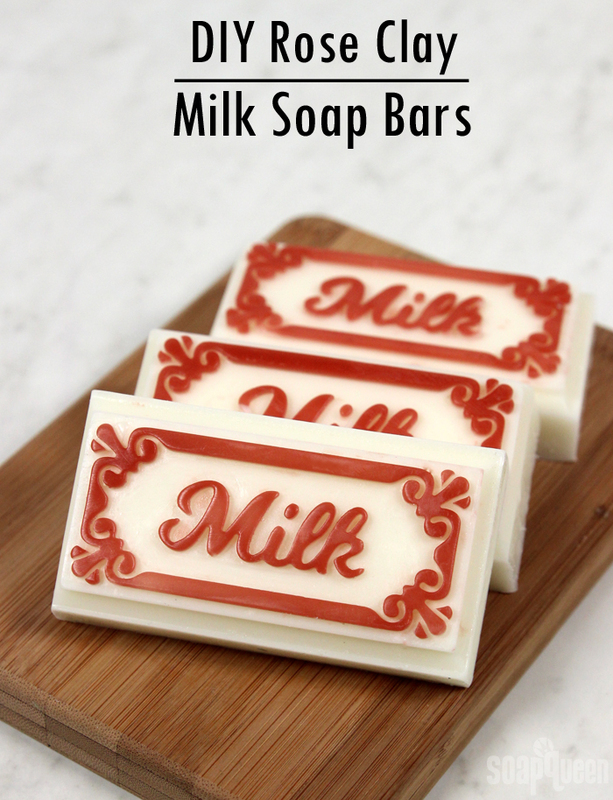 I think you want to get as much milk benefits as possible in each batch for super creamy, moisturizing, luxurious bar soaps. 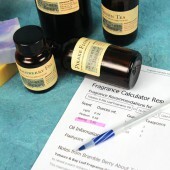 I really love the Lavender Essential Oil because it smells so amazing! Tell us something unusual or unique about yourself! 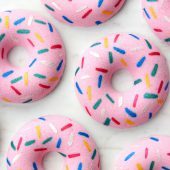 Before raising goats and starting my soap business I had been a pastry chef and worked in the restaurant business for about 15 years. Danie and a goat in her herd. Danie and her husband couldn’t consume all the milk their goats were producing, so started making soap with the leftovers. I love to cook and bake! 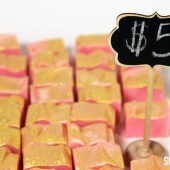 Also make goats milk caramel candies that I hope to bring to the market in the near future! Gardening/growing as much of our own food. We also raise chickens, bunnies and recently added lamb to our small farm. Have you ever experienced a horrible soapy fail? How did you work through it, and what did you learn? Once I must have had a couple large chunks of lye that didn’t get mixed into the milk and ruined the whole batch. I had to toss all of it but now I stick blend the milk and lye mixture really well before adding to the oils and actually think that it make the soap creamier. I really like the specific measurements and methods it requires. I’ve always liked organization and precision along with working with my hands. 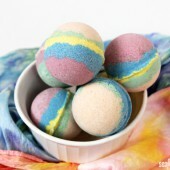 The process of soap making felt natural to me and very much like baking and pastry did. Following and creating recipes was familiar and comfortable to me. Goat milk is known for its skin-nourishing properties. 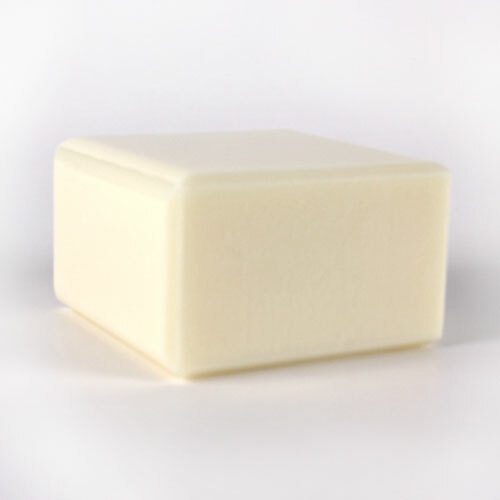 In cold process soap, some soapers replace distilled water with goat milk to give soap extra creaminess. 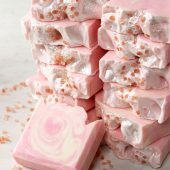 If you’d like to bring those properties to melt and pour soap, the Goat Milk Melt and Pour Base is made with a full 10% of liquid goat milk. 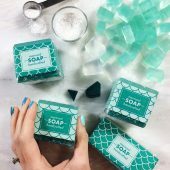 For this recipe, the new Milk Soap Silicone Tray Mold really highlights the ingredients of the soap. 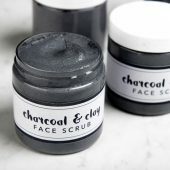 To help the details really pop, a small amount of Clear Melt and Pour Soap Base is mixed with rose clay and piped into the mold. 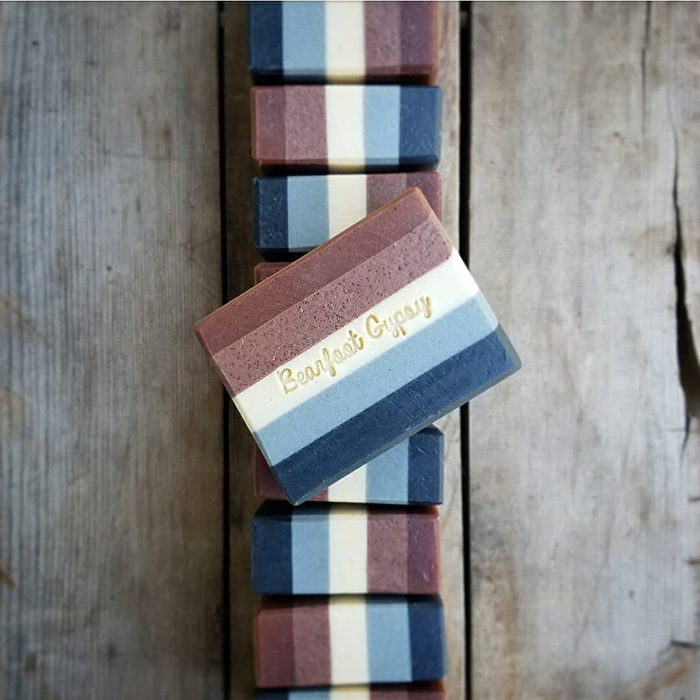 The bars are scented with Dogwood and Ginger Blossom Fragrance Oil, which is a unique blend of floral, spice and citrus notes. This project is suitable for beginners, but filling in the mold details can take a little bit of patience and a steady hand. The details in the mold were specially designed to be deep, which makes the process easier. A thermometer is recommended during this project. If the second layer of soap is poured into the mold while it’s still really hot, it can melt the details below. The Swiss Alps are bustling with wildlife, including marmots, red deer and foxes. Another familiar sight is goats grazing on the hills. 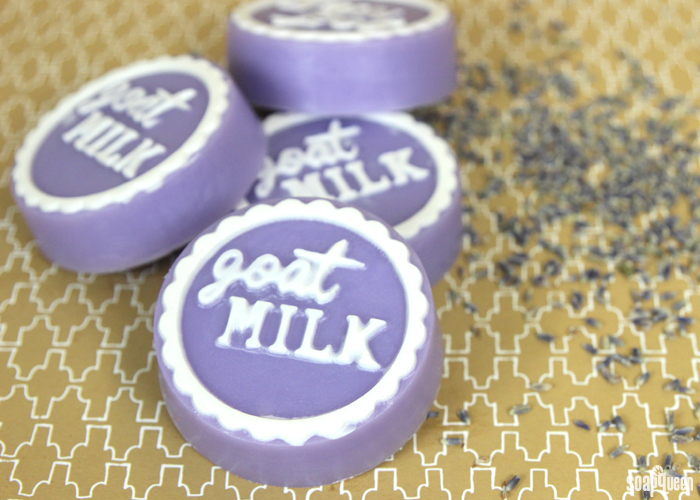 Not only are goats adorable, but their milk can be for a variety of projects, including soap. It gives the soap a creamy, silky feeling. 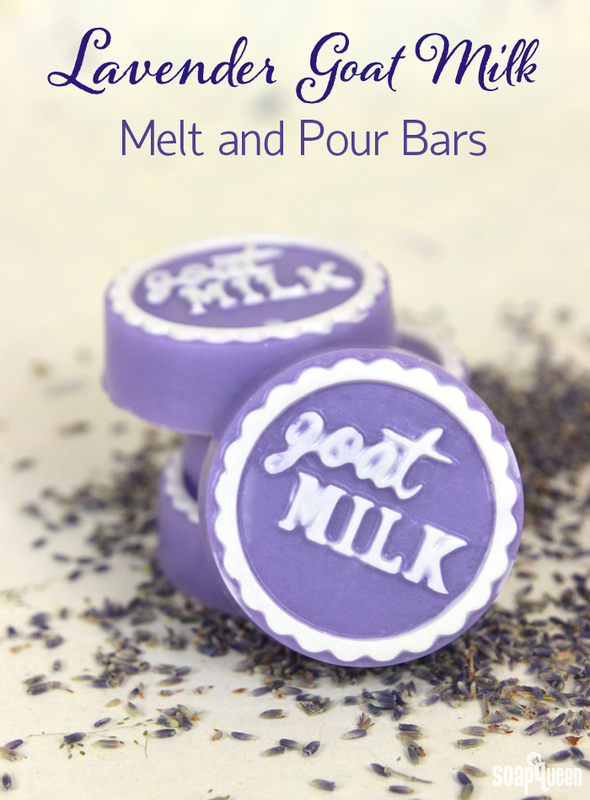 The Goat Milk Melt and Pour Base from Bramble Berry is made with 10% goat milk and feels amazing on the skin. 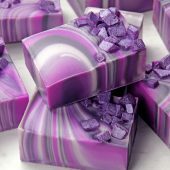 The goat milk base used in this Lavender Goat Milk Melt and Pour Soap adds luxury and a touch of shimmer. 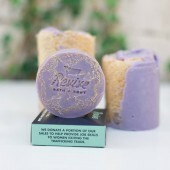 The goat milk lettering is a beautiful contrast to the base, which is colored with the Ultramarine Violet Color Block. 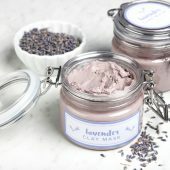 To go along with the shimmery purple, an earthy blend of Lavender 40/42 Essential Oil and Spring Meadow Fragrance Oil are used. 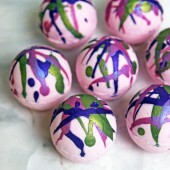 You’ll have a blast making this easy and beautiful soap! 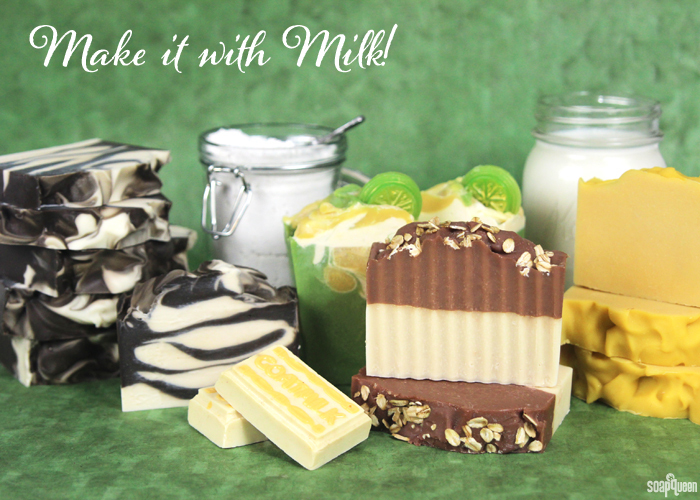 Soap making with milk is popular because of milk’s natural moisturizing properties. 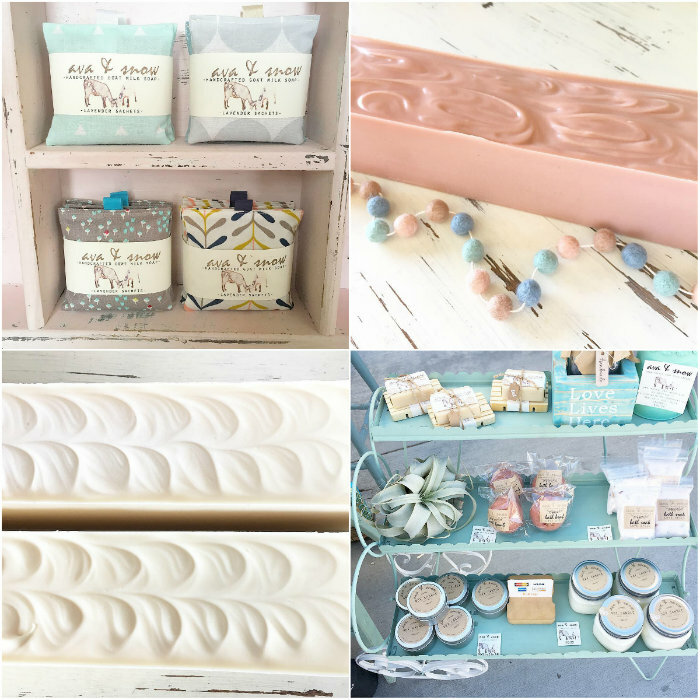 For the past two weeks, the blog has been full of soapy projects made with milk and milk powders. Milk can replace up to 100% of the water in your cold process recipe. Because milk contains natural sugars that can burn when introduced to sodium hydroxide lye, it’s important to keep temperatures cool. 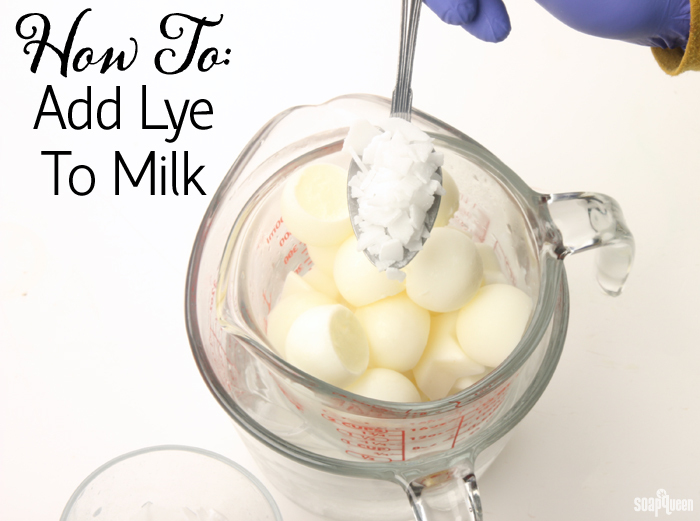 My favorite way to prevent scorched lye milk is to freeze the milk in advance and add the lye slowly. 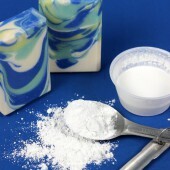 For more information on creating the lye and milk mixture, check out the How to Add Lye to Milk for Cold Process Soap blog post. 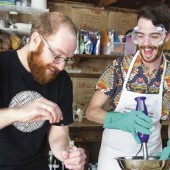 Goatmilk is a popular soapmaking ingredient for good reason. 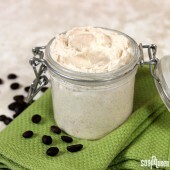 It creates a lush lather and leaves skin feeling soft. Goat milk contains capric-caprylic triglyceride, which is a fatty acid that helps skin form a barrier to inhibit the loss of moisture. 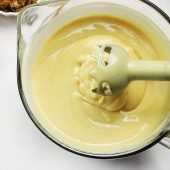 If you want to receive all the benefits of goat milk in melt and pour, the Goat Milk Melt and Pour Base is your answer. 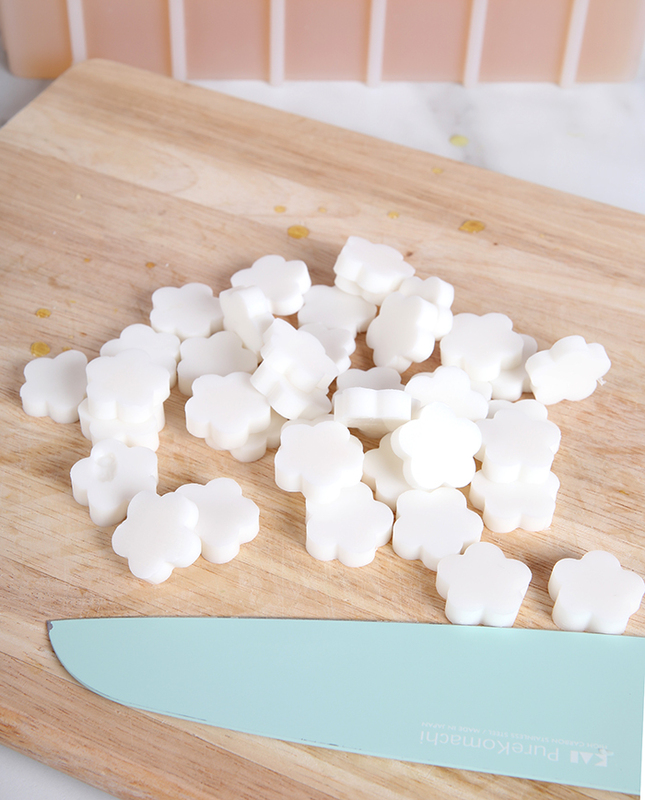 These adorable Lemon & Goat Milk Melt and Pour bars are made with the Goat Milk Melt and Pour Base, which contains 10% fresh liquid goat milk. Lemon peel and Lemon Essential Oil give these bars a fresh smell and natural texture. 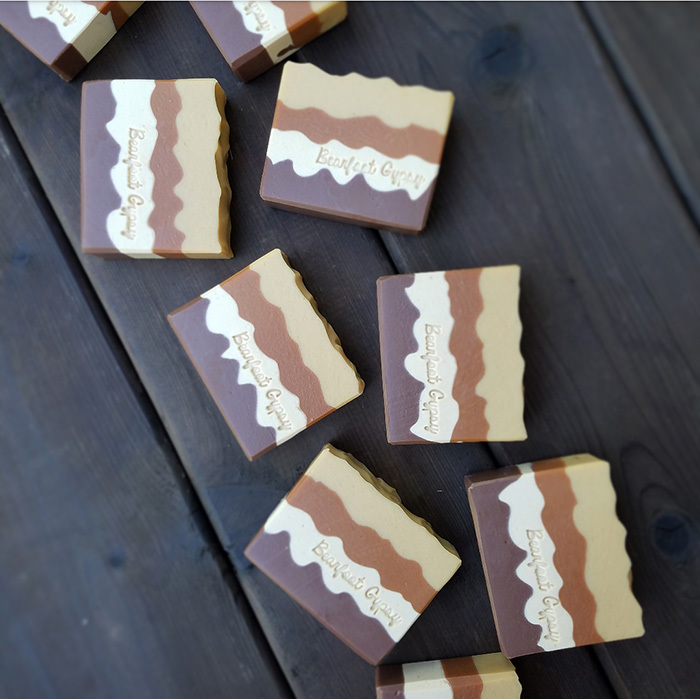 Approximately 1.7 ounces per bar, the small guest size is perfect for traveling, party favors or even samples. 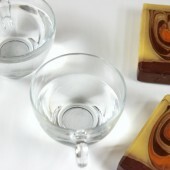 The scored lines on the Guest Goat Milk Tray Mold make cutting the slab of soap into smaller bars easy. 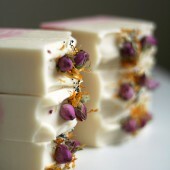 Goat milk may be the most popular type of milk when it comes to soap making. 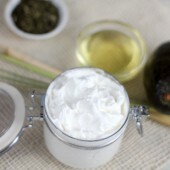 Moisturizing and nourishing, goat milk contains lactic acid which helps keep skin smooth by naturally exfoliating skin. Goat milk also contains vitamins A, D and B6. Many soap makers find fresh goat milk via local farms and markets, or raise their own goats. 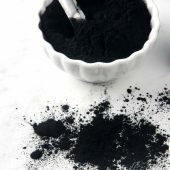 When fresh goat milk is unavailable, goat milk powder is a fantastic option. Simply add the goat milk to distilled water to reconstitute and receive all the skin loving benefits. 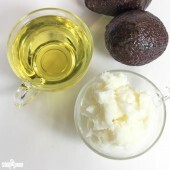 For more information on working with milk in soap, check out this How to Add Lye to Milk post, and the Buttermilk Bastille Baby Bar video on Soap Queen TV. 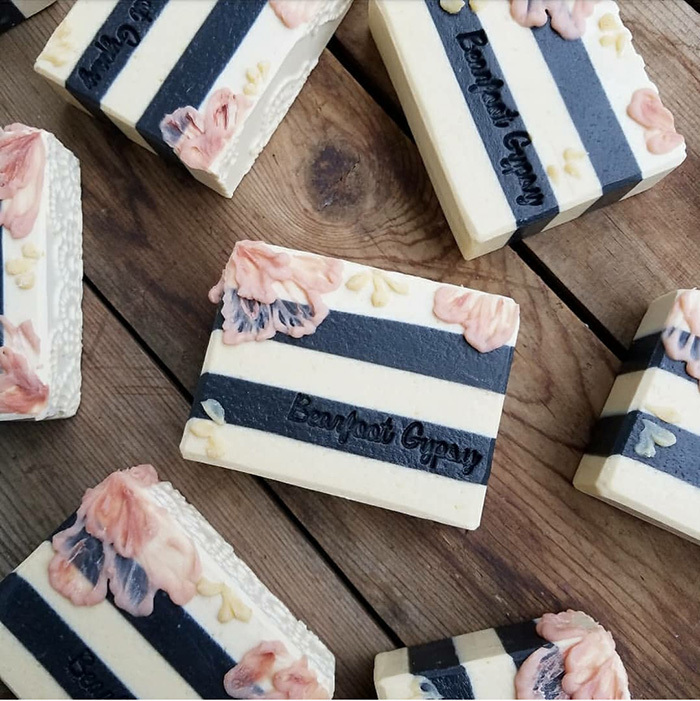 This Goat Milk and Oatmeal Cold Process soap is made with powdered goat milk, oat extract and colloidal oatmeal for a bar that is gentle on the skin. 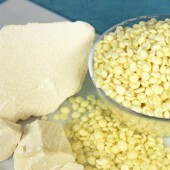 Colloidal oatmeal is extremely fine ground oatmeal that is fantastic for irritated or sensitive skin. 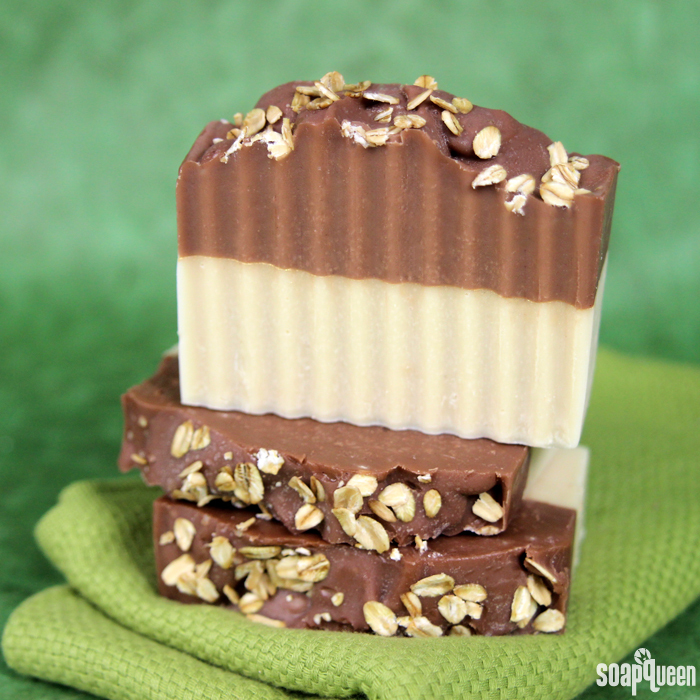 Oatmeal, Milk and Honey Fragrance Oil gives this bar a warm and comforting scent. 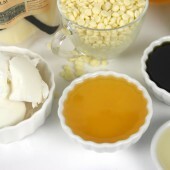 The fragrance also lends its vanilla discoloration to the top layer, which darkens the Brown Oxide used to color it. 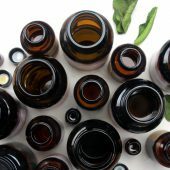 For more information on fragrance discoloration, click through the Why Did My Soap Turn Brown post. 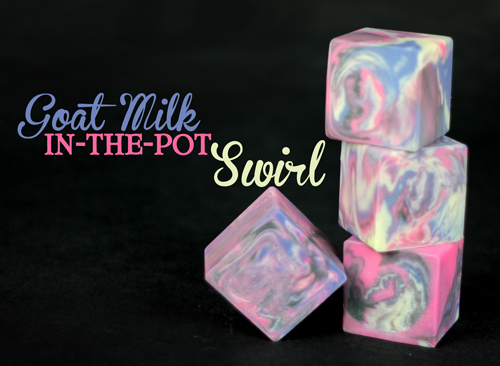 In this episode of Soap Queen TV, I show a fun melt and pour technique for creating soaps that look like over-sized dominoes. 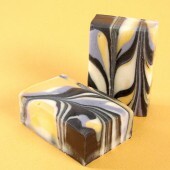 I used a luxurious blend of Honey and Goat Milk melt & pour soap to make the perfect ivory color. 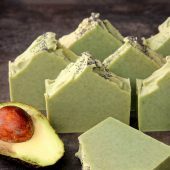 Get everything you need to make this soap. Note the video lists 16 oz of Honey M&P but we actually used 18 oz. 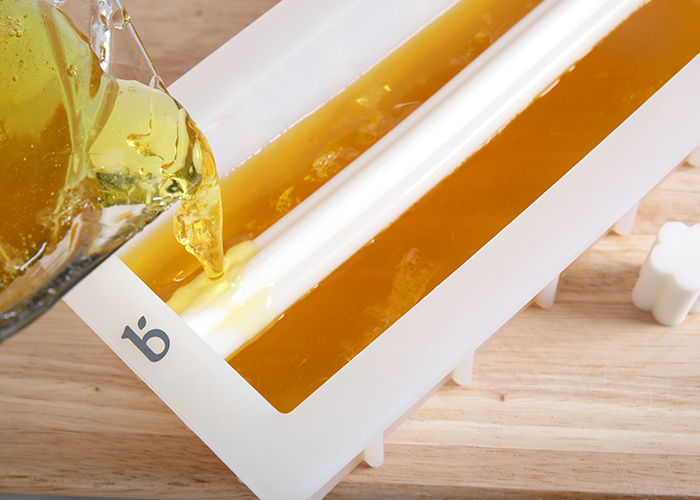 using a little less in the final layer won’t ruin your soap, so if you only have 16 oz of honey soap – it will still work! 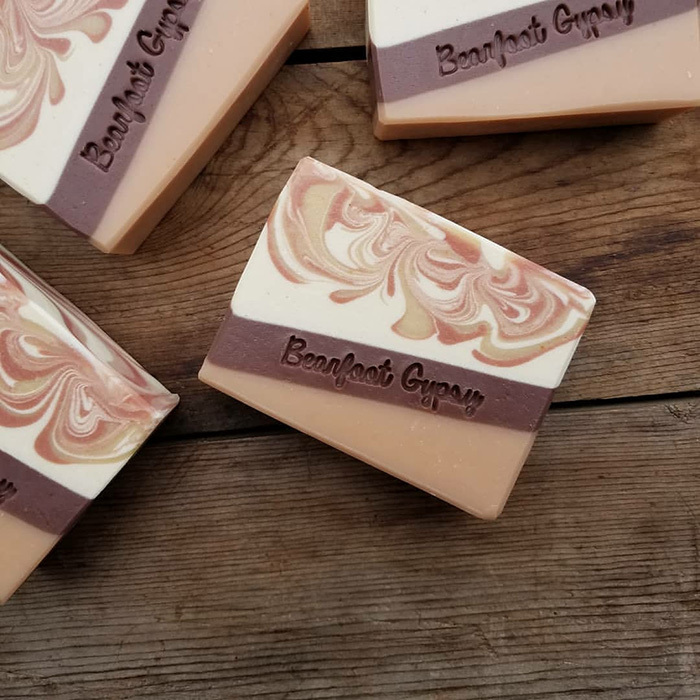 There’s no doubting the popularity of goat milk soaps, and Janelle of Jangle Soapworks has elevated milk soaping to an art form. Janelle lives in rural Wisconsin with her family and her small herd of alpine dairy goats. 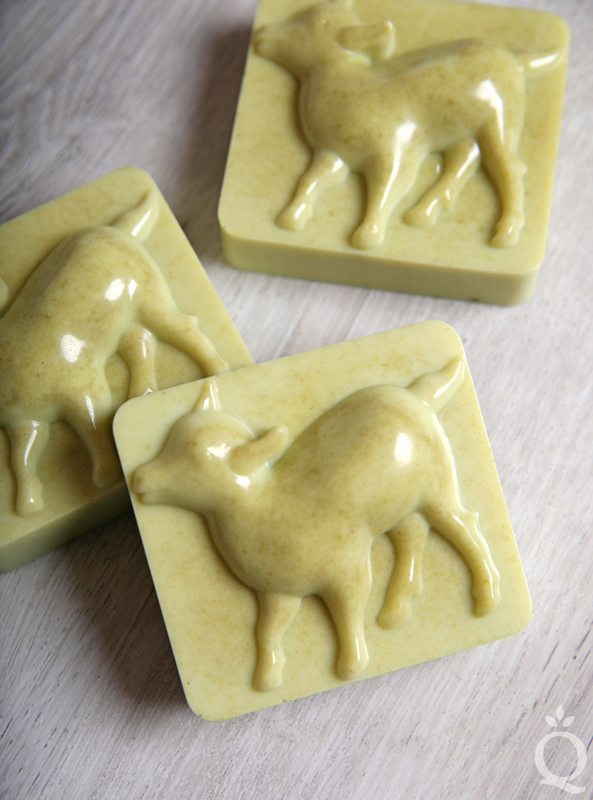 The goats are milked by hand and then the fresh, raw milk is added to the soaps for extra skin-nourishing goodness. 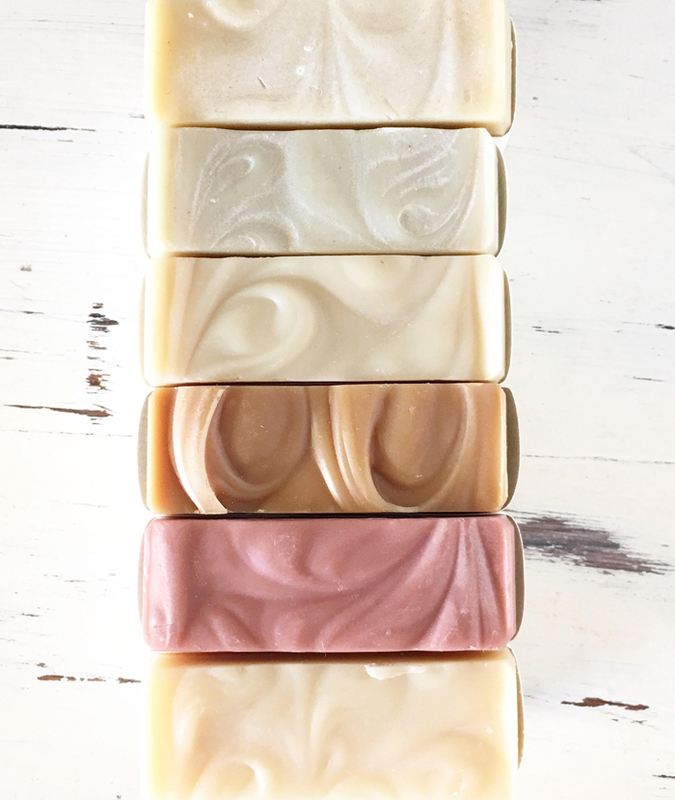 All of Janelle’s beautiful soaps include 100% goats milk instead of distilled water, and her favorite way to scent and colors soap is with natural colorants and essential oils. 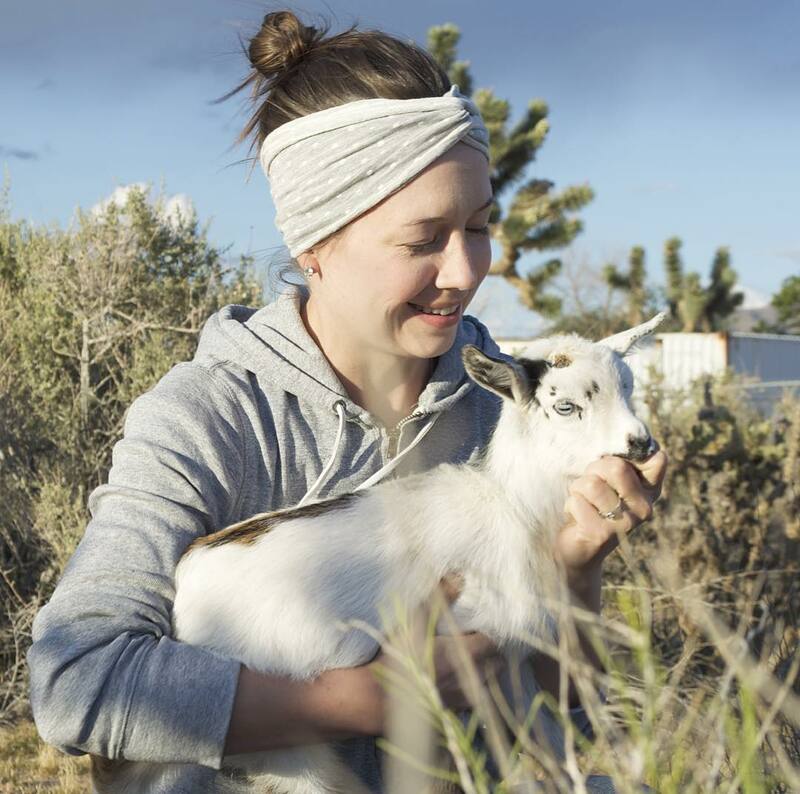 Read on to learn more about Janelle and her happy herd of goats! Goat Milk Soap Mold Debut! 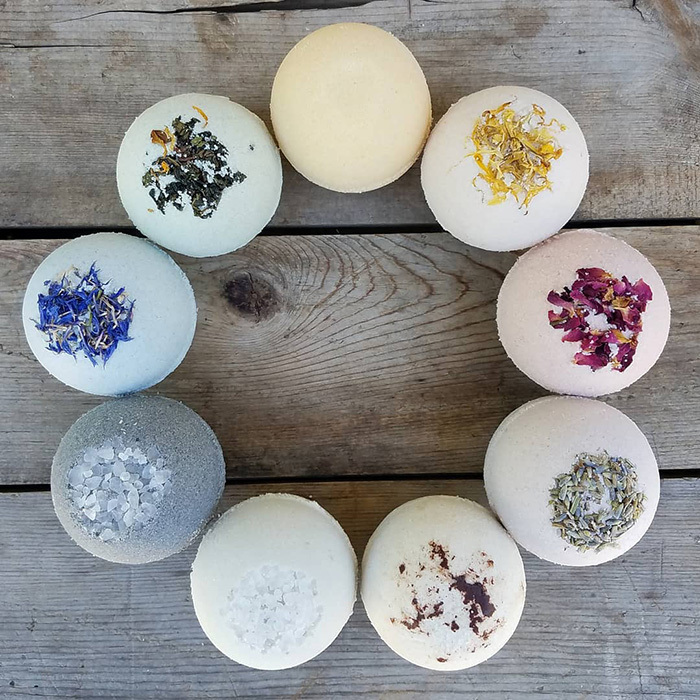 Raise your hand if you were at the Handcrafted Soapmaker’s Guild Conference in Portland, Oregon. Whoop de whoop! 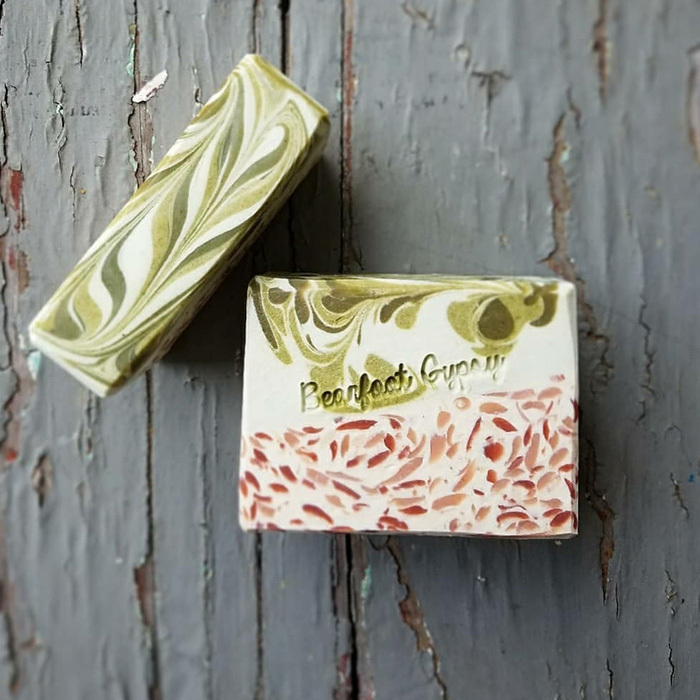 We hope you had a chance to see these soaps in person (and gave them a sniff). 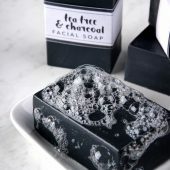 We used the Goat Milk Melt and Pour Soap base with Fresh Snow Fragrance Oil and Activated Charcoal for colorant. 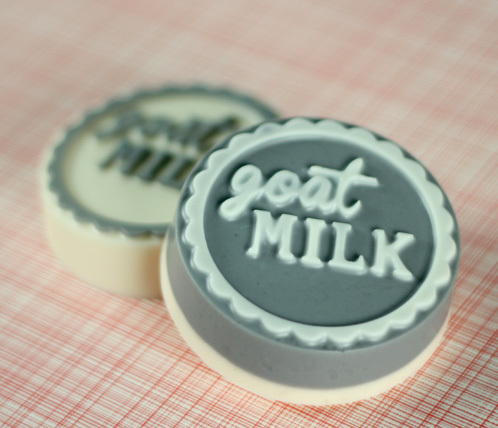 Oh, and how could I forget, we used our brand new Goat Milk Soap Mold that we designed just for you milk lovers. Got goat milk?